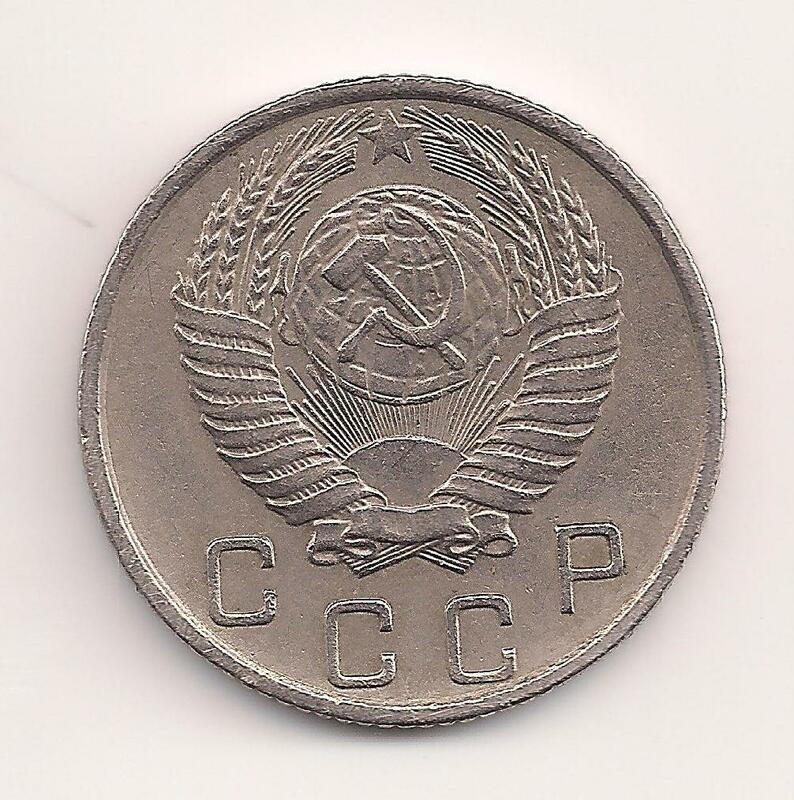 It was a 1955 Soviet 10 kopeck piece! How cool is that? It is about the size of a dime and even has the corrugated edge. I doubt it's silver as it isn't the least bit tarnished. I'm guessing it's some kind of cheap metal as it seems pretty lightweight. 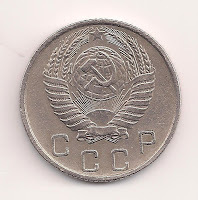 Was it intentional on the part of the Politburo to disguise it as a dime to undermine the U.S. monetary system? 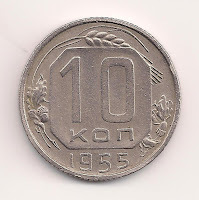 Apparently, it was four Soviet rubles to the U.S.dollar in 1955 (according to Wikipedia, the source of all knowledge). 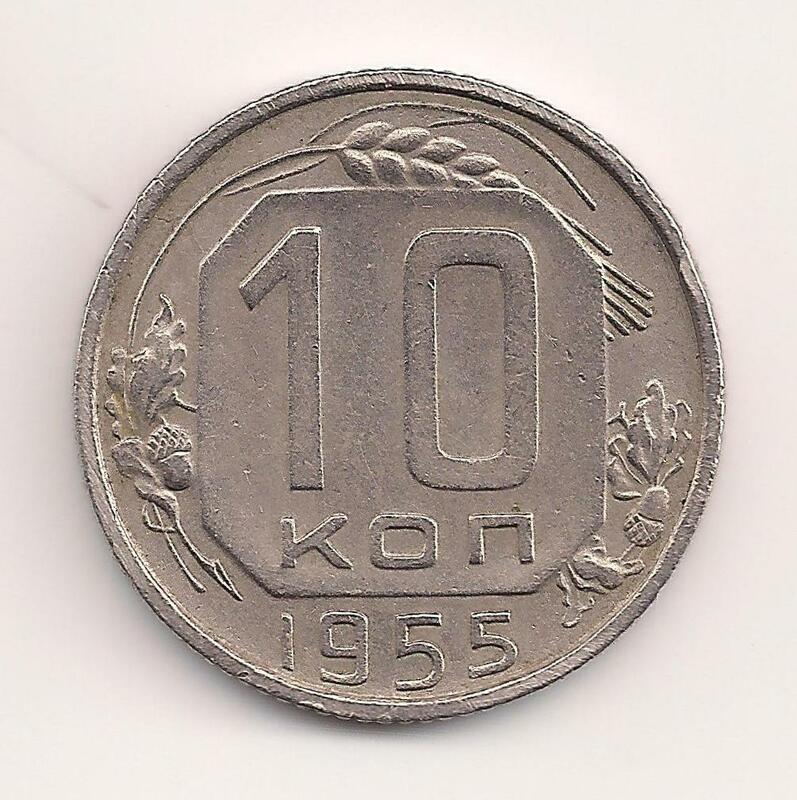 As I understand a kopeck is like a U.S. penny, or 1/100 of a ruble, then my 10 kopecks must have been worth about two and a half cents back then. I saw a table somewhere googling around that it might be worth a whole dollar now as a collector's piece. I guess that's about right for the dollar store adding on bacon or onion strings at Tonyburger. It does make me wonder where this coin has been for the past 57 years. Was it in the pocket of some defector? Carried by Khrushchev to California when they wouldn't let him in to Disneyland? 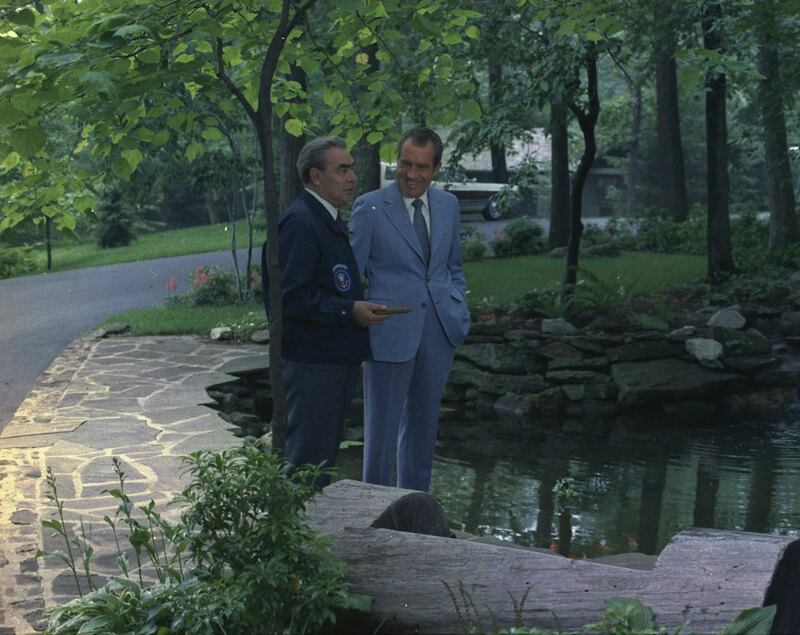 Maybe dropped by Brezhnev at Camp David to be picked up by Nixon? 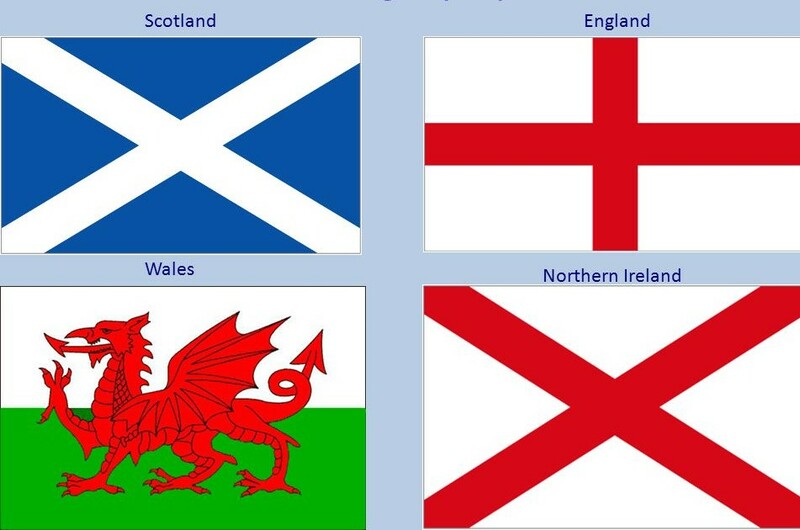 Or just carried in the pocket of numerous ordinary human beings who through no fault of their own found themselves on the opposite side of the Cold War than the one into which I was born. 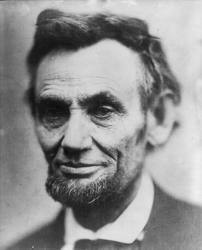 At least now we are mostly friends, maybe with the exception of that one guy, Czar Vladimir Putin I. Let's not start that up again! Actually, I doubt either Khrushchev or Brezhnev were carrying kopecks around in their pockets. That's not only exotic; it's ancient! Really, I had a funny pang of something, I don't know what, when I saw that hammer and sickle. It isn't nostalgia, because of course I wouldn't want those days back, but still it was something a little bittersweet, a reaction to seeing something familiar that I haven't thought of for a very long time. I wonder what to call my reaction? It's not THAT ancient - only two years older than I am! I guess that's why it sparked that idea in me about being born into the Cold War. At least that is behind us. But in some ways, the world seemed simpler then. The bad guys were mostly obvious. The US was much less partisan on foreign policy.